Naturopathic medicine is a distinct system of primary healthcare -- the art and science, philosophy and practice of diagnosis, prevention and treatment of illness with personalized natural therapies. 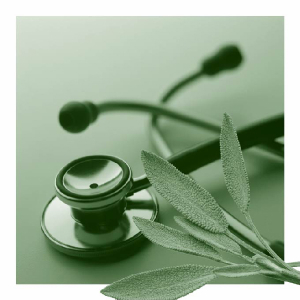 Naturopathic Doctors are general practitioners who specialize in natural medicine. At a time when modern medicine is suffering from an epidemic of technological over-load, over-specialization and over-use of drug therapy, naturopathic physicians are being increasingly called upon to provide natural health care. NDs attend accredited, four-year, graduate-level naturopathic medical schools, where they study the biomedical and clinical sciences. The first two years focus on anatomy, physiology, pathology, and other basic medical sciences, as well as an in-depth study of naturopathic philosophy, the healing response and the mind-body connection. In the last two years of their medical training, NDs study the major organ systems, pharmacology, minor surgery and diagnostic imaging. Instead of focusing on drugs and surgery as their first line of treatment, naturopathic doctors apply an array of natural, supportive therapies. Dietary and lifestyle counseling, nutritional pharmacology, botanical medicine, homeopathy, hydrotherapy and other physical therapeutic modalities are among those natural treatments studied. Two years of outpatient clinical training prepare the ND to provide safe and effective true healthcare. It is the adherence to its guiding principles that distinguishes naturopathic medicine from other healing modalities. Prioritizing the time to take a comprehensive history allows NDs to build a relationship with their clients/patients that reveals how issues with their lifestyle, relationships and work may contribute their health problems. State-of-the-art laboratory and other diagnostic methods are used to make an accurate diagnosis. NDs coach people in the ways they can best rebuild their health, using natural treatments that support their innate healing capabilities. This naturopathic approach reflects a paradigm shift from the “allopathic” approach used by conventional medicine today. Six guiding principles form the basic philosophy of naturopathic medicine. Based on the wisdom of the ages, they are as fresh and applicable today as when they were first conceived. Their application empowers both doctor and patient to view the symptoms of dis-ease as valuable feedback, informing the body/mind of the need for change. By viewing disease as a "process with a purpose" we can learn how to become active participants in our recovery process. (1) Work with the Healing Power of Nature...Trust the body's inherent ability to heal itself when the obstacles to cure are removed. "Vis Medicatrix Naturae"
(2) Identify and Treat the Cause...Address the underlying causes of illness rather than just treating symptoms. (3) First Do No Harm...Use the most natural, least toxic and least invasive therapies first. (4) Doctor as Teacher:...Educate people in the art of self-care and the steps to achieving optimal health. (5) Treat the Whole Person...Address the physical condition but also the spectrum of factors that influence our health. (6) Prevention...Encourage health promotion and disease prevention. Upon graduation from an accredited naturopathic medical school, NDs sit for the Naturopathic Physicians Licensing Examination (NPLEX). After passing this rigorous four-day exam, they qualify for state licensure. NDs are currently licensed to practice in 14 states Washington DC and Puerto Rico. Legislative campaigns for licensure of NDs are underway in New York, Florida, Pennsylvania, Colorado, and North Carolina, to name a few. If the title “Naturopathic Doctor” is new to you, it is no surprise. While these progressive doctors have been licensed in Arizona, Oregon and Washington since the early 1900’s, California began licensing NDs in 2004 after the successful campaign led by Dr. LaMont.